The Wireless Global Congress, organised by the Wireless Broadband Alliance, is the world’s leading wireless event, bringing together key thought-leaders and executives from all across the world. Fon was very pleased to be at San Jose, where we had the chance to share our views on the evolution of the wireless ecosystem. Our COO Enrique Farfán presented the most important trends in the industry. Based on an outlook for 2020, he explained the challenges industry players will face in terms of connectivity, coverage, and cloud-based systems, and explored how Fon Solutions is gearing its product portfolio towards these challenges. From a connectivity-need perspective, the data hunger from users and devices will explode thanks (but not exclusively) to the IoT ecosystem, with WiFi expected to carry up to 80% of this traffic. However, connectivity experience is still far from meeting users’ expectations. In this scenario, what we expect to see is service providers shifting from best-effort technologies, to carrier-grade WiFi, including hotspot 2.0 and new waves of 802.11ac hotspots. For the purpose of providing a best-connected experience, Fon has developed its Enhanced Connectivity Solution, which incorporates advanced decision mechanisms based on performance and environment measurements that, combined with improvements in connection efficiency, contribute to facilitating the connectivity experience for the user. From a coverage perspective, Enrique explained how providing good coverage will be critical for the applications of the future, such as a Smart City initiatives, and how, based on this need, aggressive footprint deployments both from service providers and government organisations are expected. Many of today’s players often use number of hotspots as an indicator of coverage, overlooking the importance of network quality. For this reason, Fon Solutions showcased its new tools that give contextual data and real time QoE metrics to understand WiFi coverage and potential gaps. These information parameters can also be fed into the service providers’ tools and big data systems to manage a best-in-class service. Finally, from a cloud-system perspective, Enrique explained why service providers are moving to the cloud, driven by the need to gain efficiency and implement more flexible models that will reduce TCO, and upgrading cycles.  Fon Solutions’ evolution of its WiFi Service Management Platform is offered as a cloud-based service, leveraging its modular, API-based integration capabilities to provide a fast scaling solution with low barriers. WSMP is a key enabler for service providers wanting to provide cloud-based WiFi services to its end customers, from seamless connectivity for subscribers when they are out and about, to WiFi calls, to on-demand access for occasional users, and self-managed guest WiFi solutions for businesses. We had a great time at San Jose and can’t wait to see how these wireless market trends unfold. Follow us as we continue our mission to provide the WiFi Solutions of the future on Twitter, Facebook, and LinkedIn!